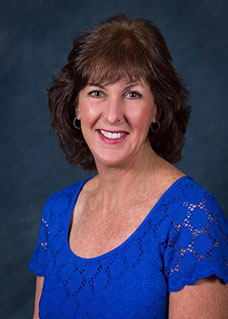 Nancy Hecht, CFP®, AIF® has been in the financial planning profession since 1983, has been a CERTIFIED FINANCIAL PLANNER™ practitioner with Certified Financial Group, Inc. since 1988 and has earned the Accredited Investment Fiduciary® (AIF® ) professional designation. Ms. Hecht offers to provide extensive financial planning services, which include retirement planning, estate planning and investment management. She is an investment advisor representative of Certified Advisory Corp, a Registered Investment Advisor with the Securities and Exchange Commission, and a registered representative of TransAm Securities, Inc.
Ms. Hecht is listed in Who’s Who in the Financial Industry. In addition to being a co-host for the financial radio program On the Money on WDBO (96.5 FM, 580 AM), she is also a frequent contributor to the Orlando Sentinel’s “Money Matters”, WKMG Channel 6 “Problem Solvers” and to Central Florida News 13. Her memberships include the Financial Planning Association of Central Florida, the TOP Foundation, and the Jewish Professional Women Association. Ms. Hecht’s previous experience includes five years as the Customer Relations and Training Assistant Manager for the National Bank of Detroit. She attended Wayne State University and Walsh Institute of Accountancy and Business, where she majored in Accounting. Other professional licenses and registrations include: Life and Health Insurance and Variable Annuities license with the State of Florida, Series 6 and 22 with FINRA (Financial Industry Regulatory Authority) formerly the NASD.